“Thank you Lendbuzz for helping me purchase my Outlander Sport! As an international in the US, I was facing challenges to buy my new car, because I had no credit history! But with financing from Lendbuzz, getting the car I really wanted was simple, quick and straightforward: filled the forms and sent the required documents, and the Lendbuzz resolved everything with the car dealer! “As an international in the U.S., I was facing some challenges. With no credit history and not a lot of savings, it was hard to get a loan. With financing from Lendbuzz, getting the car I really wanted was so easy! In just a couple a couple of days I was able to drive my new car home. “Our family recently relocated to the U.S. for work and without credit history, we were not even able to get a U.S. credit card… Planning for the future, we wanted to start building our credit score. We got an excellent rate from Lendbuzz and the whole process took less than a week! 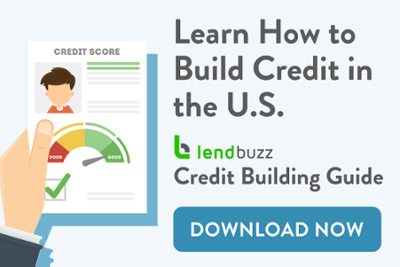 Lendbuzz was the only auto-loan service that really catered for us as expats arriving to the U.S.
International Professionals in the U.S.– Get Started on Your Money Matter... The Complete Guide to Buying Your First Car in the U.S.